The year 1907 was an interesting time in the then forty-six states that made up these United States. Teddy Roosevelt was President and the world, for the most part, was at peace. New York City, where most of America’s spice trading was conducted, boasted a total population of four million people. Spice merchants were getting used to seeing mass-produced, new fangled things like cars, phones and typewriters. The just-invented fountain pen was as it is now, a novelty item. Some buildings were still lighted by gas lamps, overseas travel was by steamship (the Wright brothers made their historic flight just four years prior), inter and intra state travel was by train and often locally by horse car. Mail or telegraph handled long distance communications. The first transcontinental telephone call would be made in 1915, still eight years away. Radio hadn’t been perfected. People got their information by reading — newspapers, magazines and books. The workaday world was labor-intensive and, obviously, more time consuming. Coming technology and world events would ultimately impact spice traders, but nothing as much as a novel published in 1906 entitled The Jungle. The book was written by Upton Sinclair, one of the authors President Roosevelt accused of using a “muckrake.” The novel itself had nothing to do with spices. What it did was give a scathing portrayal of the disgracefully unsanitary condition in the Chicago stockyards. It caused such a furor in the country about the safety of the nation’s food supply that in the same year Congress was compelled to pass two specific acts concerning food safety: The Meat Inspection Act and the Pure Food and Drug Act. Against this background of crisis, a meeting to form an association of spice traders was called for late afternoon on Wednesday, August 7, 1907, in the rooms of the Underwriters’ Club, 77 William Street, New York City. It was a stifling day in New York, and the air in the Club hung heavy with humidity and good five cent cigar smoke. A few of the men present cooled themselves with hand-held fans or newspapers. None removed his coat — in those days it just wasn’t done. Men stood about in clusters of two and threes, chatting amiably. A steady murmur, broken intermittently by a hearty laugh, could be heard as they waited for someone to take charge. At the back of the room in a group of five was a tall man who more and more frequently withdrew a watch from his vest pocket. At the stroke of three he strode to the lectern and tapped the gavel twice. A few heads turned but most continued their private conversations- This time the man with the gavel banged it three times and said in a loud voice, “Gentlemen, we’ve got much to do and little time in which to do it. May I have your attention please?” These words and the crashing gavel attracted more attention and everyone was soon seated. The man at the podium introduced himself as John Clarke, John Clarke & Co., of New York, temporary chairman of the meeting. He pulled a folded sheet of paper from his coat pocket and read the reasons for calling the meeting. “In calling this meeting it is perhaps as well to state briefly the reasons and purposes. There is one prominent and central statement of policy that it is advisable should be given emphasis in the strongest manner, and that is the attitude of the promoters of this organization of the spice trade toward Pure Food legislation and regulations. It is the distinct and sincere purpose of this Association to uphold the law in every possible way, and not in any case to oppose, evade or attempt to discredit it. In 1907 they used more stilted and formal language, but all fifty-five “founding fathers” understood why he was there – to, above all else, act upon the new food legislation or be forced out of business. You can be certain, after Clarke spoke, there followed lengthy and enthusiastic discussion. Late in the day, someone moved that the new organization be named The American Spice Trade Association, be headquartered in New York City, and be incorporated under New York State law. Eligible for membership were importers, dealers, agents, manufacturers and brokers, with each firm to have a single vote. After adoption, nominations were held for officers. Although spokesmen from seven different states were present representing many firms, the New Yorkers carried the day taking all elected offices, including the member at large who would also sit on the Board. John Clarke, who initiated the move for organization, was elected Secretary. Three committees were immediately formed — Arbitration, Standards, and Contracts with the chairman of each also sitting on the seven-member Board (it should have been eight, but the man voted Vice President, Eugene W. Durkee, also chaired the Standards Committee). The Board was authorized to draft a Constitution and By-Laws to include an annual dues assessment and proceed to administer the fledgling association. By 1927 the United States, with a little help from its friends, had successfully concluded a world war and was going about its business; so was ASTA. It took 21 years, but the Congress got around to creating a specific entity to enforce the food and drug legislation of 1906. It was called the Food, Drug and Insecticide Administration in 1927; four years later it dropped ‘Insecticide’ from its name. Prior to 1927, food law was administered by a Board of Food and Drug Inspection. Meantime, ASTA was hard at work. The Board met on a weekly basis but its first minutes were not written until 1931. No one had time. During this period of adolescence, ASTA was dealing adequately with contracts and arbitration, formed a Government Liaison and other committees as needed to handle other problems, increased -membership substantially, and held an Annual Meeting in New York City to report on each year’s progress. In 1926, in St. Louis, the Convention was first held in combination with the Annual Meeting. The next convention, an informal affair, wasn’t till 1930. Thereafter, all Annual Meetings and Conventions took place in New York City until 1949, when ASTA traveled to Chicago with ladies taking a prominent part for the first time. From 1950 on, all Annual Meetings and Conventions have been at resorts with spouses participating fully. The Great Depression struck in 1929 and the spice business was suffering. In 1931 against a backdrop of declining markets, poor publicity, intra-industry strife, and a lack of government standards at the import level, a humbled Association sat down and attempted to reorganize that which had begun in 1907 for almost the same set of problems. Because it was becoming obvious that the industry would not be able to cope efficiently under its existing form, a restructure was proposed. A professional firm, the A. H. Doolittle Co., was called in for advice. Doolittle noted that a Grinders and Processors section had been written into the By-Laws in 1922 and expanded on the concept of sections. The firm also suggested other committees and that ASTA hire a paid executive to run the day-to-day operation of the office. The reorganization, though still unwieldy, worked well at the time. This remained the way ASTA did business until the second restructure that took place forty-three years later in 1974. In the intervening years many sections and committees were instituted, dropped, split in two or underwent a name change – for example, the Non-Resident Section came into being in 1926. It later became the International Group. Other landmark bodies, though not necessarily their present name, included: Associate Section 1933; Allied Section 1967; Western States Section 1952 (originally separated between northern and southern California) sanctioned in 1963; Midwest Group 1956; Public Relations 1937; Membership-Admissions 1943; Research 1946; Traffic 1948; Convention 1949; By-Laws 1957; Shipping industry 1958; Advisory 1963; Finance 1965; Quality Control 1968 and Consumer Action 1972. Also a unique, voluntary fundraising procedure employing ASTA stamps was set up to finance all supplemental programs, such as the very successful Public Relations Program, and other outside services. This procedure was eventually dropped. Historically, the Association had as its nucleus the trading aspect of the spice business – the various trading contracts and an arbitration system were now firmly established. The structure of the Association, however, remained oriented to these activities. In 1972 the Board observed inconsistency in the Association’s organization and operation in relation to the industry’s new needs. The importer, dealer, and broker and agent had not changed their responsibilities or functions substantially over the years, but those of the grinder and processor had changed radically. The paramount problems of 1972 and the future, the Board felt, would be government/regulatory, industry, consumer, public and commercial relations. 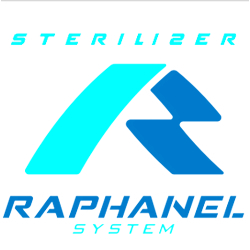 These had already begun to impact specifically with regard to quality control, sanitation, microbiology, product liability, standardization product specifications, packaging and labeling requirements, nutrition, and heavy metals. None of these issues were a problem at the time of the Association’s founding, nor were they even envisioned. Many firms were motivated to join the Association for collective strength and protection because of these issues. The task of restructuring was given the Advisory Committee in 1972, with full implementation scheduled for 1974. The Committee thought the best structural form would be to segment the Association into three major functional line areas; (1) Trading (until then the entire Association structure), (2) Manufactured Products, and (3) Technical. Each Group would elect a Chairman to sit on the Board. This method would, in effect, create a second association, with the Technical Group in support of both. Employing this structure, all matters of each Group would be synthesized at one central source – for instance, all reports of a technical nature would be made through a Technical Director. The same would hold for the Trading and Manufactured Products areas. In order to service this system properly, it was felt the Association should hire a technical employee while the existing staff would be responsible for coordinating the other two line areas as well as present staff committee functions. It was pointed out that one of the primary advantages of such a structure would be that member companies would no longer be restricted to participation in only one section, but could be represented on any or all committees of interest to them, regardless of section. With minor changes, this is how the Association operated for two dozen years. The biggest event impacting the spice industry occurred on April 26, 1986 half a world away from ASTA’s offices. That morning an explosion at the Chernobyl nuclear power plant in the former Soviet Union killed dozens of workers immediately and tons of radioactive material was released into the atmosphere. The plume of radioactive fallout drifted over a wide area Eastern and Western Europe and there were major problems because of the radioactive contamination of crops from areas affected by the Chernobyl fallout. The Executive Committee of the Trading Group and the Board of Directors met throughout the year to assess the situation and ASTA representatives met with the Food and Drug Administration to discuss the problem. A copy of the FDA’s Compliance Policy Guideline on radio nuclides in imported foods was distributed to members and the FDA instituted ongoing monitoring to protect consumer health. The 1990s brought a host of new issues for the spice industry as well as technology that made disseminating information easier. ASTA addressed a number of new issues such as ETO regulations, food safety, GMOs and trans-fatty acid labeling. A bi-weekly newsletter, FYI ASTA was distributed via fax machine. 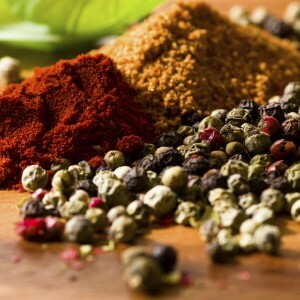 ASTA also established its first Web site on the World Wide Web, bringing in more than 2,000 visitors a month looking for information on the spice industry. In 1998, Susan Abbott, vice president of regulatory and environmental affairs for McCormick & Company, became the first woman president of ASTA. During the 1990s, the organization experienced financial difficulties and Executive Director Elizabeth Erman worked diligently with the Board of Directors to right the ship and bring ASTA back to a strong financial l position. ASTA was ready for the 21 st Century. The issue had come up before, but ASTA’s headquarters had remained in the New York metropolitan area since 1907. This time there was agreement that ASTA should move its headquarters to Washington DC to establish closer contact with key legislative decision makers and regulatory agencies. It was also felt that ASTA would benefit through increased synergy with other trade associations in the nation’s capitol. In June of 2001, the ASTA office in Englewood Cliffs, NJ closed, Elizabeth Erman joined SmithBucklin’s Washington DC staff and the Chicago-based association management company became the new headquarters for ASTA effective July 1, 2001. Then came September 11 th and fallout from the terrorist attacks on New York City and Washington DC impacted the food industry. In December 2001 Congress passed the Public Health Security and Bioterrorism Preparedness and Response Act . This legislation required FDA to publish regulations on the registration of food facilities, prior notice to import food, administrative detention and record keeping. ASTA focused on providing members with updates as each of the rules was published to ensure members knew how to comply when shipping spices to the U.S.
Key changes in ASTA’s bylaws, membership and dues structure were approved by the membership and took effect on July 1, 2004. The bylaws changes eliminated a number of membership categories, most notably the international membership. All international members who trade with the U.S. became Active members with the same voting rights as U.S. based companies. The dues structure was changed at the same time reducing the minimum active dues amount from $3,200 to $2,500. Other significant changes to the bylaws were designed to give the Board of Directors more flexibility in governing ASTA. With the exception of the Nominating Committee, all standing committees and groups were eliminated and the Board was charged with determining which committees will be needed each year to carry out ASTA’s strategic plan. The elimination of the groups also led to changes in the structure of the Board of Directors, with all directors now elected to at-large positions. In April 2006, Kazim Gurel of Kutas A.S. in Turkey was elected treasurer, the first time a representative from an international company has been elected as an officer. The Association’s commitment to involvement in regulatory and legislative issues was cemented in 2006 with the hiring of ASTA’s first full-time Government Relations Director. ASTA is now actively involved in a number of coalitions with other trade associations pressing for legislative and regulatory action on food-related issues. We’ve turned to technology for education, hosting our first Web seminar to encourage greater participation from our members around the world. The ASTA Board of Directors is focused on the future, engaged in strategic planning and anticipating the needs of the organization as we look to 2007 and beyond. 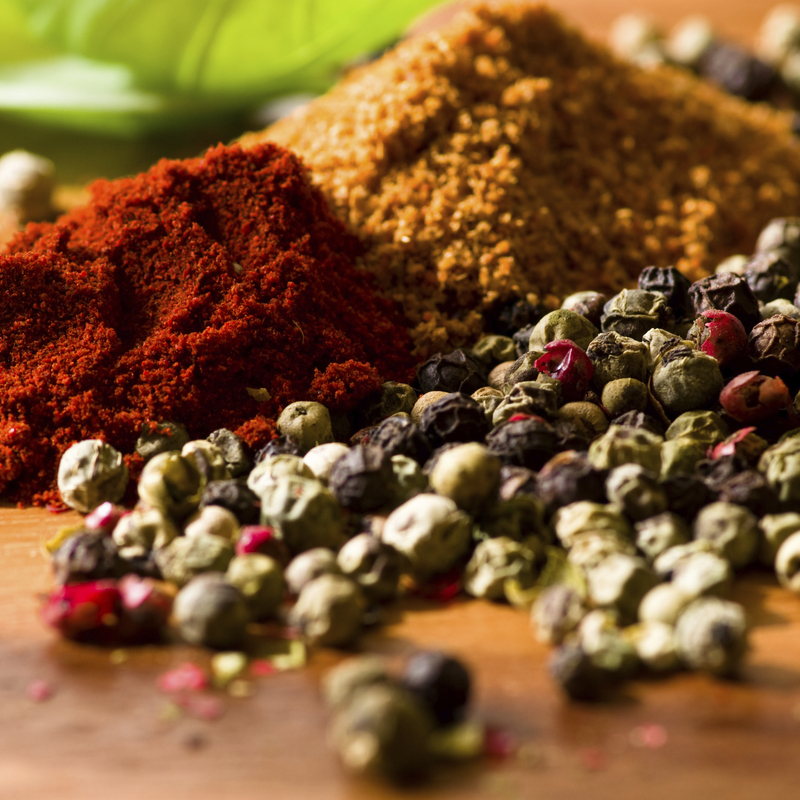 ASTA has evolved since its founding in 1907 and today stands as the worldwide leader in the spice industry, poised to address today’s challenges and ready for the next phase in its history. Edward J. McNeill was Corporate Secretary of ASTA’s professional staff from 1970 until 1982.